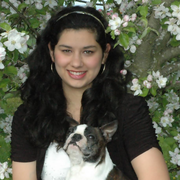 My name is Gabriella Sechrist and I am so excited to offer your family my animal expertise and experience. Whether you need training help or someone to simply check on your animals I have something to offer everyone. I trained and showed dogs for over 15 years, in AKC and 4-H. I have also watched various people's pets and farms. I am available to take care of household pets and/or farm animals. I know animal CPR/First Aid. I have a clean driving record, background test, and drug test.